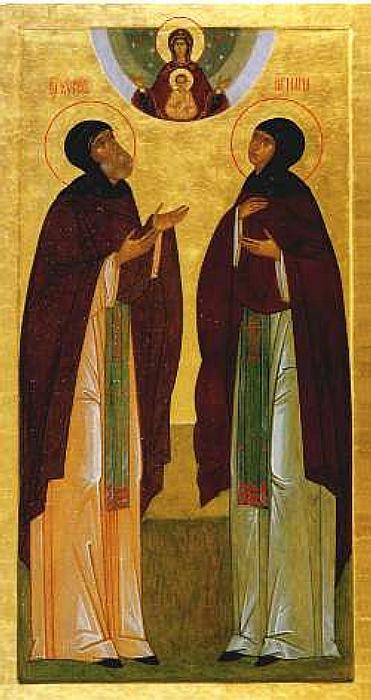 Saint Cyril and his wife Maria were the parents of Saint Sergius of Radonezh (Sept. 25). They belonged to the nobility, but more importantly, they were pious and faithful Christians who were adorned with every virtue. When the child in Maria’s womb cried out three times in church during Liturgy, people were astonished. Although frightened at first, Maria came to see this event as a sign from God that her child would become a chosen vessel of divine grace. She and her husband agreed that if the child was a boy, they would bring him to church and dedicate him to God. This child, the second of their three sons, was born around 1314. He was named Bartholomew at his baptism. 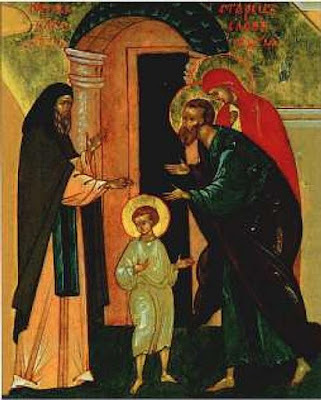 Because of civil strife, Saint Cyril moved his family from Rostov to Radonezh when Bartholomew was still a boy. 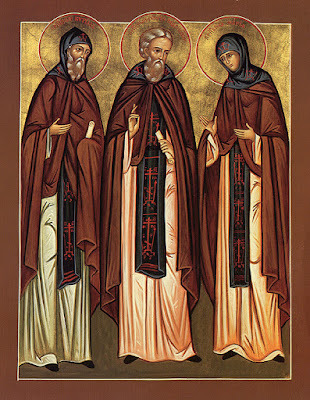 Later, when their son expressed a desire to enter the monastic life, Saints Cyril and Maria asked him to wait and take care of them until they passed away, because his brothers Stephen and Peter were both married and had their own family responsibilities. The young Bartholomew obeyed his parents, and did everything he could to please them. 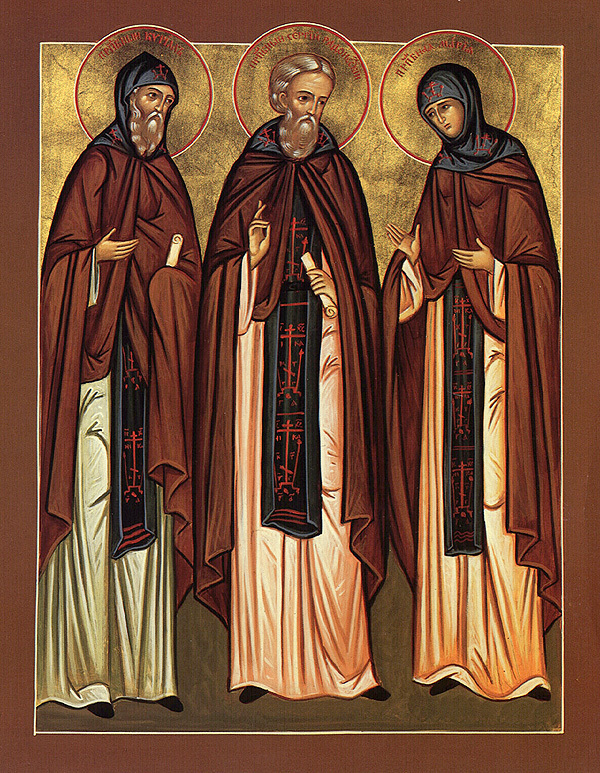 They later decided to retire to separate monasteries, and departed to the Lord after a few years. 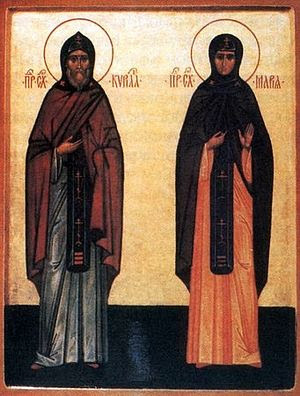 It is believed that Saints Cyril and Maria both reposed in 1337. Forty days after burying his parents, Bartholomew settled their estate, giving his share to his brother Peter. 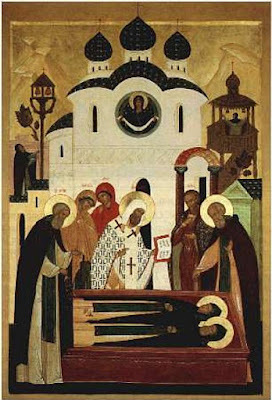 He then went to the monastery when he was twenty-three years old, and was tonsured on October 7 with the name Sergius (in honor of the martyr Saint Sergius who is commemorated on that day). As everyone knows, Saint Sergius of Radonezh became one of Russia’s greatest and most revered saints. Saint Cyril was glorified by the Orthodox Church of Russia in 1992.